The American author Jacqueline Woodson will visit Stockholm to accept the Astrid Lindgren Memorial Award. She will take part in a week of ALMA events from May 22–28, including lectures, school visits, meetings with young people and a trip to Astrid Lindgren’s childhood home in Vimmerby. Her visit will conclude with a ceremony at the Stockholm Concert Hall on May 28, in which H.R.H. Crown Princess Victoria will present her with the award. May 22, 6 PM: Jacqueline Woodson lectures in the auditorium of Kulturhuset Stadsteatern.Free admission. May 23, 9–11 AM: Visit to the teachers, students and school librarian of Hjulsta Elementary in Tensta. Meeting with a representative of Woodson’s Swedish publisher, Natur & Kultur. May 24, 9–11 AM: Study trip to the Lava Library; meeting with school classes. 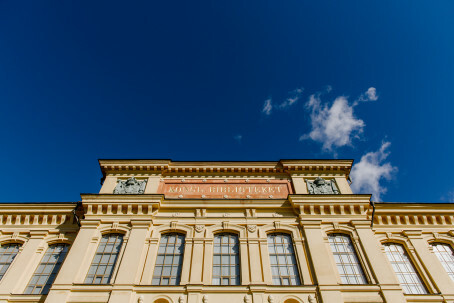 May 24, 2 PM: Meeting with the Swedish Academy for Children’s Books. May 25–26:Visits to Astrid Lindgren’s school and Astrid Lindgren’s Näs in Vimmerby. May 28, 6 PM: Award ceremony at the Stockholm Concert Hall with artist performances and special guests. H.R.H. Crown Princess Victoria will present the award. Minister for Culture and Democracy Alice Bah Kuhnke will give an address. For interview requests and press credentials for the award ceremony, kindly contact our press officer. Jacqueline Woodson was born in 1963 and currently lives in Brooklyn. She published her first book in 1990 and has since written more than 30 titles, translated into some ten languages. Her books deal with turning points in young people’s lives and personal relationships in a world of barriers and prejudice. Her most celebrated title is the award-winning memoir Brown Girl Dreaming, to be published in Swedish by Natur & Kultur. Brun flicka drömmer (Swedish title) will be released on May 24 in a translation by Athena Farrokhzad with cover art by Sara R. Acedo. Translations of more books by Woodson are planned. The Astrid Lindgren Memorial Award (ALMA) is the world’s largest award for children’s and YA literature and one of Sweden’s foremost literary awards, now in its sixteenth year. The prize amount is five million Swedish kronor, awarded annually to one or more recipients working in the spirit of Astrid Lindgren. The purpose of the prize is to promote interest in children’s and YA literature. Our work is founded in the UN Convention on the Rights of the Child, among which is the right to cultural life and the arts. A jury of experts selects each year’s winner(s) from candidates nominated by institutions and organizations worldwide. The Astrid Lindgren Memorial Award was established by the government of Sweden in 2002 and is administered by the Swedish Arts Council. Today the nomination process for the 2019 Astrid Lindgren Memorial Award opens. We welcome you to submit your nomination by following this link to our online form. Only nominating bodies approved by the jury have the right to nominate candidates. The list of nominators is available on alma.se/en. These organisations represent countries from all over the world, and when submitting a nomination they’re taking the opportunity to present the children’s and young adult literature, and reading promotion activities, of their respective countries. Each nominating body can nominate a maximum of four candidates: two candidates from the organisation’s own country and two candidates from other countries. Attached you will find further information on the nomination process and regulations. Please note that the final date for submitting nominations is May 15, 2018. The award office would like to establish a closer contact with our nominating bodies and we are always interested in receiving updates on the activities of your organisation. You are most welcome to contact the award office and/or meet us at the Bologna Children’s Book Fair, March 26-29. You will find us in Hall 21, Stand C46. The name of the 2018 laureate(s) will be revealed at a press conference held in Stockholm on Tuesday March 27 at 13.00. This announcement will be broadcast live on our website as well as to the Bologna Children’s Book Fair, and you will receive an invitation by post to this event at the fair shortly. Please let us know if you have any questions regarding the nomination process, and we look forward to receiving your nomination! Next year, 235 candidates from 60 countries will be in the running for the world’s largest and most prestigious children’s literature award, the Astrid Lindgren Memorial Award. This was announced today by ALMA jury chairman Professor Boel Westin at the Frankfurt Book Fair. Click here for the complete list of nominated candidates for ALMA 2018! “The nomination list is a gold mine for anyone interested in international children’s and YA literature. I hope that this list will be spread and used in all possible situations concerning reading and storytelling.” says professor Boel Westin after making the announcement. More than hundred nominating bodies worldwide have proposed candidates for the 2018 award. This time, the jury has 235 candidates from 60 countries to consider. All continents are represented among the nominated writers, illustrators, reading promoters and storytellers. Many candidates are re-nominated, but this year’s list also includes 40 new names. United Kingdom has the highest number of nominees. New countries to enter the nomination list are Ukraine, Azerbaijan and Antigua and Barbuda. So far, seventeen laureates have received the Astrid Lindgren Memorial Award (ALMA). The latest recipient is the German illustrator Wolf Erlbruch, who exclaimed “Oh dear” when he got the call from the jury earlier this spring. The award rewards works or activities of the highest quality but the laureates must also embrace the humanistic values that Astrid Lindgren treasured. “The jury now has the hard but very pleasant and rewarding job of finding one or more laureates for 2018. We have meetings once a month and between meetings we read piles of books and documents. I look forward to learn more about the works and the activities of the candidates.” says Boel Westin. The laureate or laureates of the 2018 Astrid Lindgren Memorial Award will be announced in Stockholm and Bologna immediately following the jury’s final meeting on March 27 of next year. The nomination event is a co-operation with the Frankfurt Book Fair and took place at the Kids Stage (Hall 3.0 K 139). The candidates for the Astrid Lindgren Memorial Award 2018 will be presented on October 12 at the Frankfurt Book Fair. So far, seventeen laureates have received the Award, the latest recipient is the German illustrator Wolf Erlbruch. The award amounts to SEK 5 million (approx. EUR 570 000), making it the world’s largest award for children’s and young adult literature. The list of nominated candidates is a gold mine for anyone interested in international children’s and young adult literature – and would not be possible without the work of more than a hundred nominating bodies from all over the world. Welcome to join us when the list of names is revealed! 4.05 pm Prof. Boel Westin, Chairman of the ALMA Jury and Journalist Marcel Plagemann, present the work of Wolf Erlbruch. 4.40 pm Helen Sigeland, Director of ALMA, about upcoming events. 4.45 pm Prof. Boel Westin, Chairman of the ALMA Jury, reveals the candidates for the 2018 award. The event is a co-operation with the Frankfurt Book Fair and takes place at the Children’s Book Centre (Hall 3.0 K 139). The nomination list of 2018 will be available on www.alma.se/en shortly after the programme. Welcome to cover the 15th announcement of the Astrid Lindgren Memorial Award (ALMA), the world’s largest award for children’s and young adult literature. The prize, which amounts to EUR 570 000, is awarded annually to a single recipient or to several. Previous laureates include Philip Pullman (2005), Kitty Crowther (2010), Barbro Lindgren (2014) and Maurice Sendak (2003). Last year’s laureate was the American author Meg Rosoff. For this year’s award, 226 candidates from 60 countries are nominated. The list of candidates is available here. Alice Bah Kuhnke, Swedish Minister for Culture and Democracy is giving a speech and Jury Chairman Boel Westin will announce the laureate of 2017 on Tuesday April 4, 2017 at 12:45pm CEST at the National Library in Stockholm, Sweden. The announcement will be followed by a presentation of the laureate by the jury. In addition: images and video from the Bologna Children’s Book Fair where the announcement will be broadcasted live. We are also able to offer media outlets the opportunity to broadcast the event live on their webpage via an embed codeOR a IP-broadcaster. If interested, please let us know by replying to this email or by contacting us at mariella.kucer@alma.se. The Astrid Lindgren Memorial Award (ALMA) is the world’s largest prize for children’s and young adult literature. The award, which amounts to SEK 5 million, is awarded annually to a single recipient or to several. Authors, illustrators, oral storytellers and those active in reading promotion may be rewarded. It was founded by the Swedish government in 2002 and isrewarding one or several laureates annually regardless of language or nationality. The award is designed to promote interest in children’s and young adult literature, and in children’s rights, globally. An expert jury selects the winners from candidates nominated by institutions and organisations worldwide. 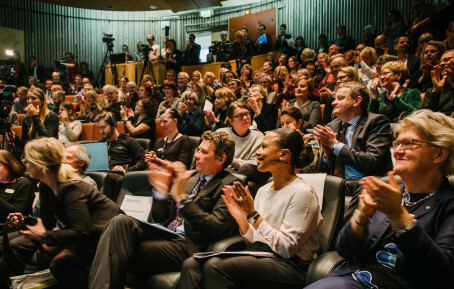 The Astrid Lindgren Memorial Award is administered by the Swedish Arts Council. The announcement of the 2017 Astrid Lindgren Memorial Award (ALMA) takes place Tuesday April 4th 1:00 pm CET at the National Library in Stockholm. Alice Bah Kuhnke, Minister for Culture and Democracy in Sweden is giving a speech and Jury Chairman Boel Westin will announce the laureate of 2017. The announcement will be followed by a presentation of the laureate by the jury. The press conference will be broadcast live on www.alma.se and via a link to Bologna Children’s Book Fair, the leading international book fair for children and young people. ALMA rewards authors, illustrators, storytellers and reading promoting individuals and organisations. For this year’s award, 226 candidates from 60 countries are nominated. The list of nominated candidates is available here. On Saturday the 17th of September Isol, the 2013 laureate of the Astrid Lindgren Memorial Award, will participate in Kolibrí – an artistic children’s festival in Helsinki. Among other things she will read stories and run a graphic workshop for children. The visit to Helsinki is part of a tour to different European countries. Among other things Isol will also be at the OBA, the public library in Amsterdam, on the 30th of September where there is an exhibition of her work. Meg Rosoff tonight received the Astrid Lindgren Memorial Award from Swedish Minister for Culture and Democracy Mrs. Alice Bah Kuhnke. In her acceptance speech she expressed both praise and criticism. Rosoff spoke joyfully but also gravely. She expressed pleasure and pride at being recognized for her work as an author. She also described a sense of sorrow for today’s world of child refugees, leaders who know too little about the importance of art, music, and literature for young people, and societies that value lawyers and bankers more than teachers and librarians. – It is a great honour and a great responsibility to carry on the work that Astrid Lindgren began. I am not only grateful for the recognition this prize brings, but for a country that puts such tremendous value on children’s books and children’s imaginations. – Teenage-years are a bit like no man´s land. No one is invited to come close and there are no clear sign posts for direction. It is comfortable for the rest of us to keep it on a certain distance. And it can be awfully difficult to dig into our teenagers’ emotions since it forces us to reflect on our own lives. Someone who doesn´t fear this is this year’s laurate of the Astrid Lindgren Memorial Award; Meg Rosoff. Musical entertainment was provided by Malena Ernman and Bo Kasper’s Orchestra. Hamadi Khemiri read from Rosoff’s novel, What I Was. The ceremony was hosted by Stockholm City Librarian Katti Hoflin. Author Meg Rosoff is coming to Sweden to receive the 2016 Astrid Lindgren Memorial Award (ALMA). The Award Week begins May 23 and ends with the award ceremony at the Stockholm Concert Hall on May 30. “That´s amazing, I have to sit down, I can´t believe that” was Rosoff’s reaction when Jury Chairman Boel Westin informed the American writer living in London that she is the laureate of the world’s largest award for children’s and young adult literature. The program for the award week includes meetings with press and media, meetings with children and young adults and a visit to Astrid Lindgren’s childhood home Näs in Vimmerby. On May 25, Meg Rosoff meets the public in a conversation with ALMA jury member Maria Lassén-Seger at Kulturhuset in Stockholm. The event is open to the public and free of charge. The preceding week Meg Rosoff will do a flying visit to Stockholm to participate in the talk show Babel on Swedish National Television. – The Astrid Lindgren Memorial Award is the largest award for children’s and young adult literature. to be the compere of the tribute for this year´s laureate Meg Rosoff is an honour and a joy for an old warrior for children’s and young adult culture like me. This year’s award is presented by Swedish Minister for Culture and Democracy, Alice Bah Kuhnke.